Have you been following along with the Friendship Album 1933 podcast from Quilt Fiction? Friendship Album 1933 is a novel written by Frances O'Roark Dowell and shared each week - chapter by chapter - as a podcast read by the author. The novel brings us into the lives of each of five women - Eula, Dorothy, Bess, Emmeline and Florence. These women meet weekly in a quilting circle as they each work on a quilt to enter into the Sears National Quilt Contest as part of the World's Fair in 1933. Each chapter of the novel is released as an podcast each Friday - if you are not already actively listening, you can get started here! It is a perfect listening for your sewing. In celebration of her novel, Frances and I have been collaborating on patterns for the quilts featured in the novel. 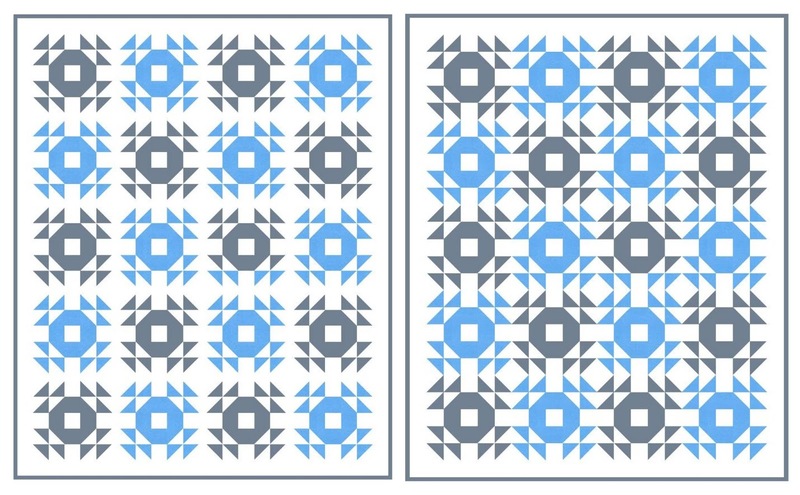 A few months ago Frances shared a free pattern for a Double-Windmill Quilt. Today, we are sharing a collaboration for base instructions for a quilt made with the Crown of Thorns block. 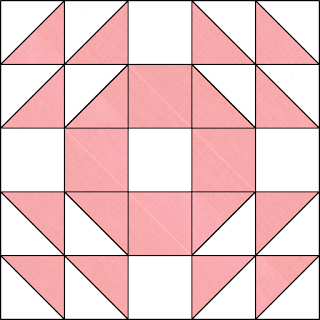 The Crown of Thorns block is constructed from half-square triangles (HST tutorial). You can easily make your block bigger (or smaller) by changing the size of the HSTs you make. 2'' (finished) HST to make a 10'' (finished) block; 3" (finished) HST would make a 15'' (finished) block and so on. 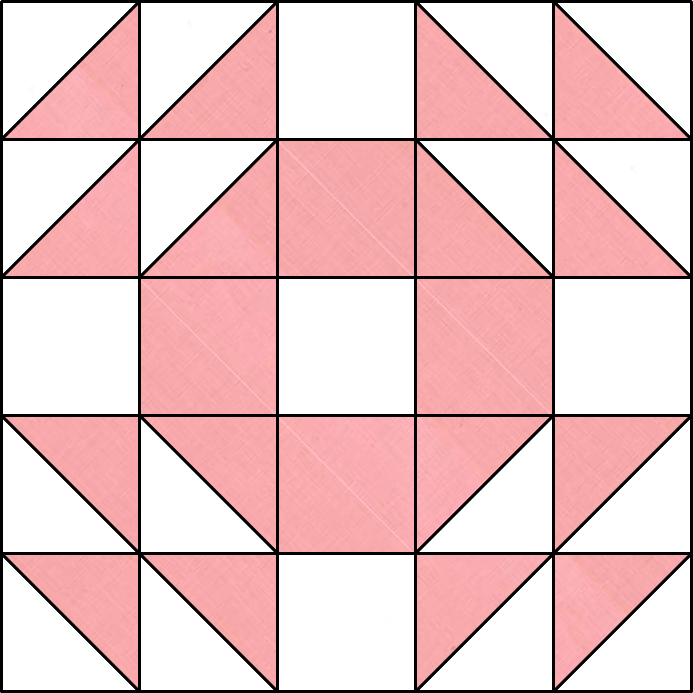 Set with or without sashing in a traditional grid would make a beautiful quilt. I really love the secondary pattern in the quilt set without sashing. Setting the blocks on point is the setting that Frances choose and added in a beautiful sawtooth border! One of the trickiest parts of a on point setting is calculating the dimensions for your setting and end triangles. 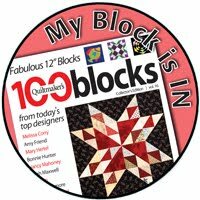 I found a great resource that already figured out the math based on the block size you choose - find it here. Frances has channeled her inner-Dorothy and made a beautiful quilt. 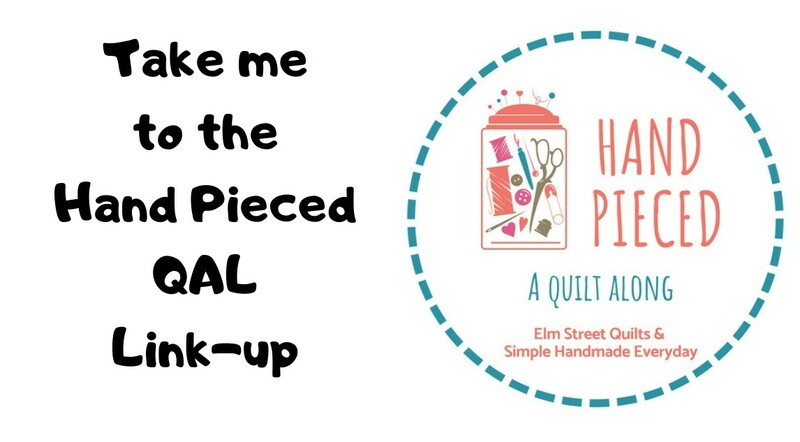 Jump over to Quilt Fiction to see her quilt and the base instructions to design one of your very own. 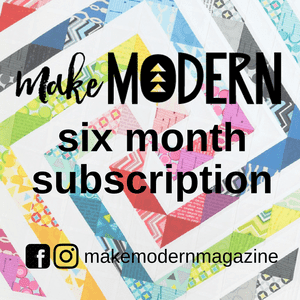 We haven't quite put together a pattern but if there is interest in one, let us know! Patty, you are a busy girl! I have really enjoying this podcast. I found it a few weeks after it started but it was easy to catch up. All three are beautiful. It is very tempting to start a new project. I love the podcast and have listened to them more than once. I look forward to each new release!